I WAS IN THE MARKET FOR NEW BIBS. GOT 4 HIGH QUALITY BIBS FOR $7.00 EACH INCLUDING SHIPPING. BIBS LIKE THESE RETAIL FOR $12.00 EACH IN STORES. CUTE DR. SEUSS CLOTHING TOO. Great deal today if you’re looking for a growth chart for your child. I picked up 3 of them! They Grow Fast! Record their growth and relish the memories. Their first steps, birthdays, and milestones can escape our thoughts so quickly. Measure their accomplishments as they grow. This growth chart kit comes with the vinyl lettering numbers (2-6) and football or butterfly and the 3×3 wood topper. Mount it to a board or place it right to the wall. Don’t wait until the time has passed. They grow so quickly. Your coupon is your receipt. Do not redeem online. 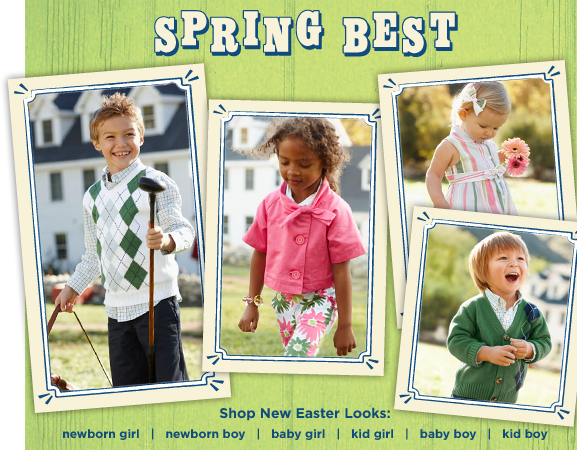 Will ship on or before March 31st 2011. $3 Shipping per household to anywhere in the U.S.
It’s only a free sample, but it all helps when buy ridiculous amounts of diapers! 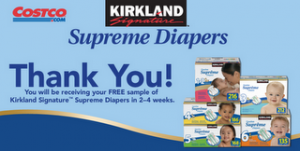 Request a FREE sample of Kirkland Signature Supreme Diapers from Costco right now! This particular sample does not require a Costco membership number. FOR THOSE OF YOU WHO SAW MY LAST POST ON CHEAP DIAPERS…HERE’S A TIP! If you ordered diapers on amazon.com and signed up for the ship and save option to save 30% on your order, you can cancel that at anytime, then sign up again! Also if you get Parents Magazine, be sure to save the amazon.com diapers coupons. You can use more than one per transaction making your order close to free if not free. 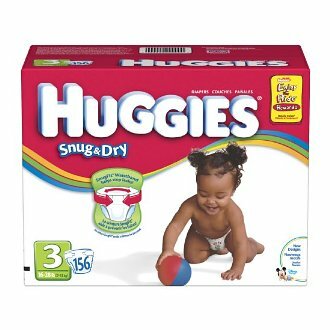 I just ordered this box of Huggies Size 3 diapers and paid $1.28! See a screen capture of my total below. I saved 30% with the subscribe & save option located on the right side of the amazon.com page. Then applied two promotional codes from the coupons found in Parents Magazine.